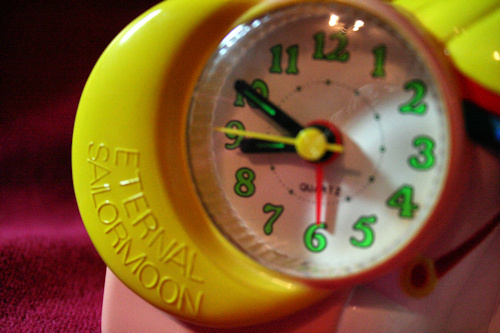 Eternal Sailor Moon Clock – MoonFigures Collection, Art, and Reviews! 2 AAA Batteries. North American batteries will work. 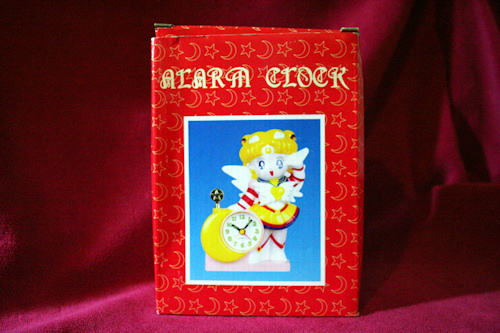 This clock is absolutely beautiful and SO adorable, even if it’s a bootleg. There IS a fair amount of difference in the detail in the bootleg version compared to the official version. The clock is much blander, the detail in several places are not as sculpted, and are slightly more general. The paint and quality of this clock is actually quite impressive though. 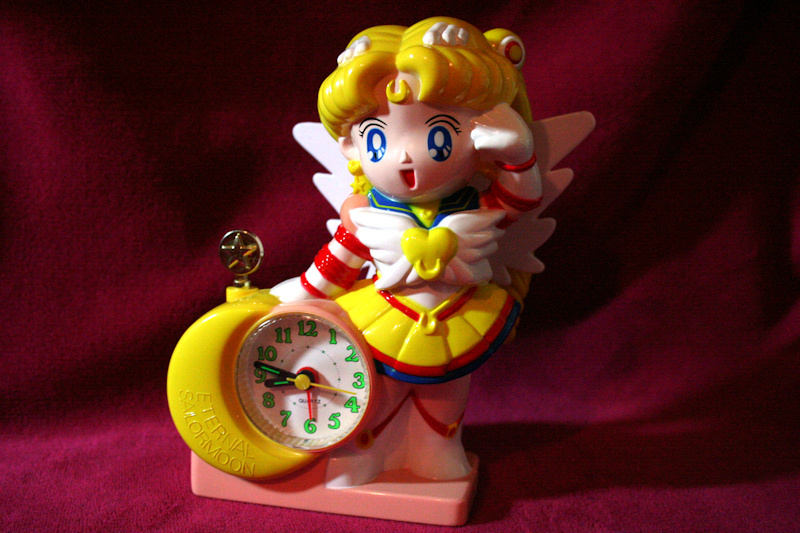 When you set the alarm and it goes off the alarm plays some music and Sailor Moon says “Good Morning!” It’s adorable as a clock and collection item, but let me tell you, there are mornings when I want to pick her up and throw her at my wall lol. The back features a lot of screws, holes for the music, and the knob for setting the alarm and clock. To turn on the alarm press the small gold star button on top of the moon and put it in the down position. 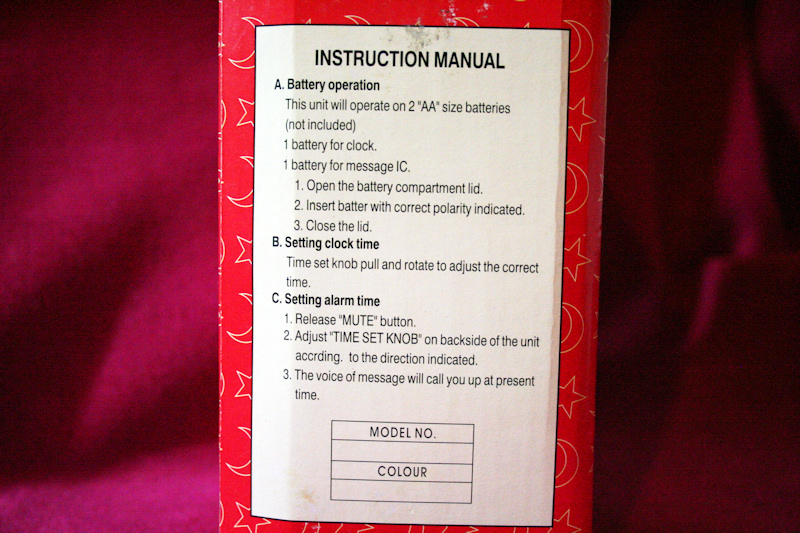 To turn the alarm off put it in the up position. The large black hands tell the time, the small red hand tells you the time that your alarm is set for. 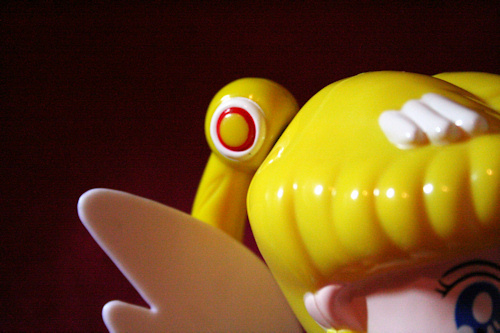 ESM also features movable pigtails, and removable wings. Careful! This also makes the wings easy to lose. 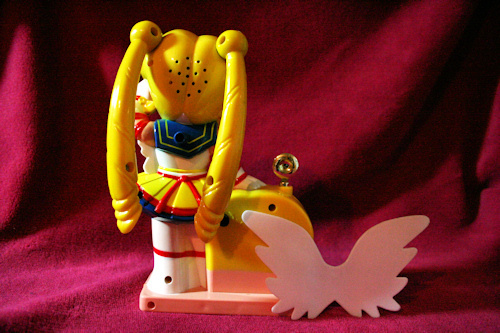 She will work off of 2 AA North American batteries. where can i buy one !!! As this is a bootleg your best bet is on Ebay. They’re no longer produced, so they’re hard to find, and really expensive right now, despite being a bootleg. The official versions run from $120+ right now.